One important area of quality in which students should be fully engaged is reviews. Both internal, institution-led review processes and institutional reviews led by the sector are hugely important in helping universities and colleges improve their learning experience. The student view, in turn, is crucial to informing reviews, and student representatives have a key role to play in both preparing for reviews and helping address action points that come out of them. 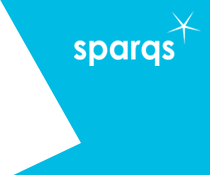 sparqs provides a lot of support to both the university and college sectors to help institutions and students' associations prepare for their reviews and engage students fully in the processes. In doing so, we work very closely with the Scottish office of the university review agency QAA, and with the college review agency Education Scotland. This work to help institutions and students' associations with their reviews is distinct from our activity at the national level to help shape the review processes as a whole. You can find more about that work on our Quality arrangements webpage in our Supporting the Sector pages. In this section of our website on supporting reviews, we have pages on Enhancement-led Institutional Reviews (led by the QAA in the university sector), Institution-led Reviews (led by universities themselves) and How Good Is Our College? (led by Education Scotland in the college sector).